After the Valentine at Llanddulas, I moved onto the Bull Hotel in Abergele. 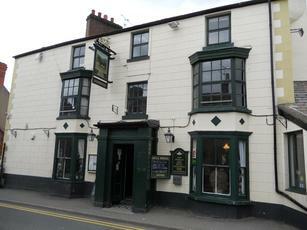 This is a JW Lees House, offering their Bitter & Manchester Pale Ale. The quietest of the 3 Abergele pubs I tried, it was far more relaxing than the Bee Hotel and the Coach House. However, the Coach House trumped it for ales.